As a partner, finding the right path to profitability in the cloud is complex and time-consuming and the journey is unique to each organization. To grow your public sector profitability, you need a trusted leader and guide who knows cloud distribution, the public sector, and how to help take your business to the next level with maximized market opportunities. That's why we created DLT Cloud NavigatorTM — and why companies like AWS choose DLT to distribute cloud solutions to the public sector. Since 2011, DLT and Amazon Web Services (AWS), have partnered together to provide cloud solutions to the Public Sector. Awarded with the Government and Education Competencies, DLT is the only premier consulting partner and public sector distributor for AWS. No matter where you are in your cloud journey, whether just starting or born in the cloud, DLT Cloud Navigator will help you strategize and find the customizable path to profitability as your AWS Public Sector Distributor. Want more information? Start navigating your cloud journey with DLT today. No matter where you are in your cloud journey, whether just starting or born in the cloud, DLT Cloud Navigator will help you strategize and find the customizable path to profitability. Want more information? Start navigating your cloud journey with DLT today. Delivering your technology, solutions, and services through the cloud is often complex. Where do you start? 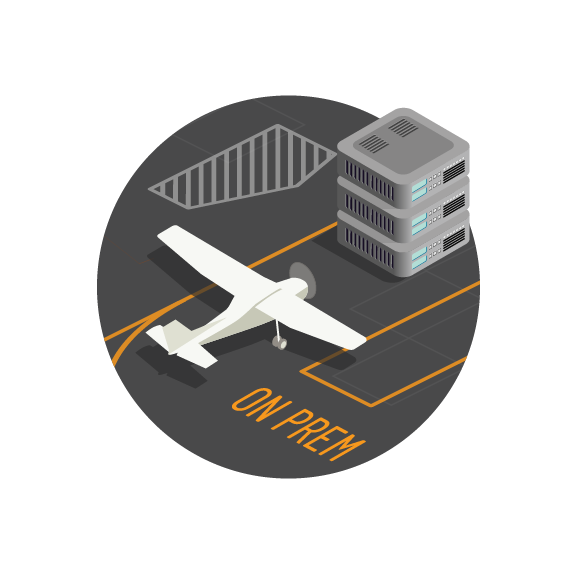 Are your customers still on premise? Are you even in the right channels to get off the ground? 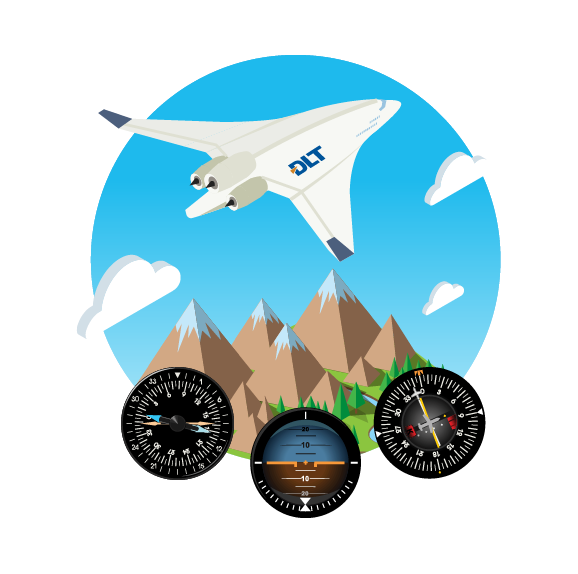 It all starts with the right flight plan to reach new altitudes in the cloud—DLT can help you navigate your path. 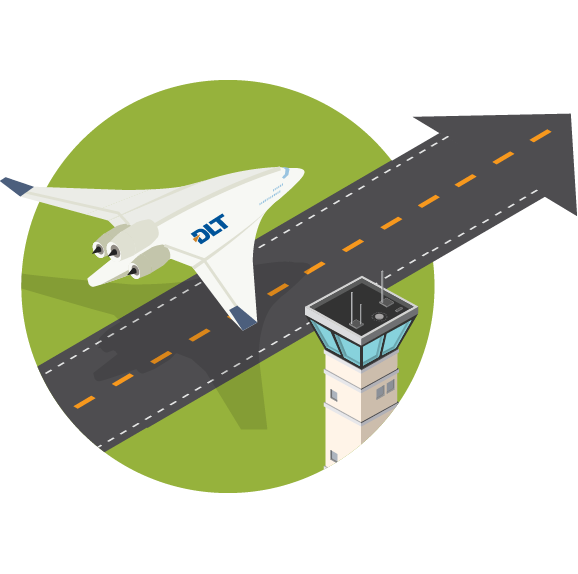 Once you are on-board with DLT, there is plenty of runway to accelerate your cloud offerings. We will help you understand where your customers are in their cloud journey and what kinds of solutions they need. Our training and resources will help you and your team get up to speed with access to best-of-breed tools and training. 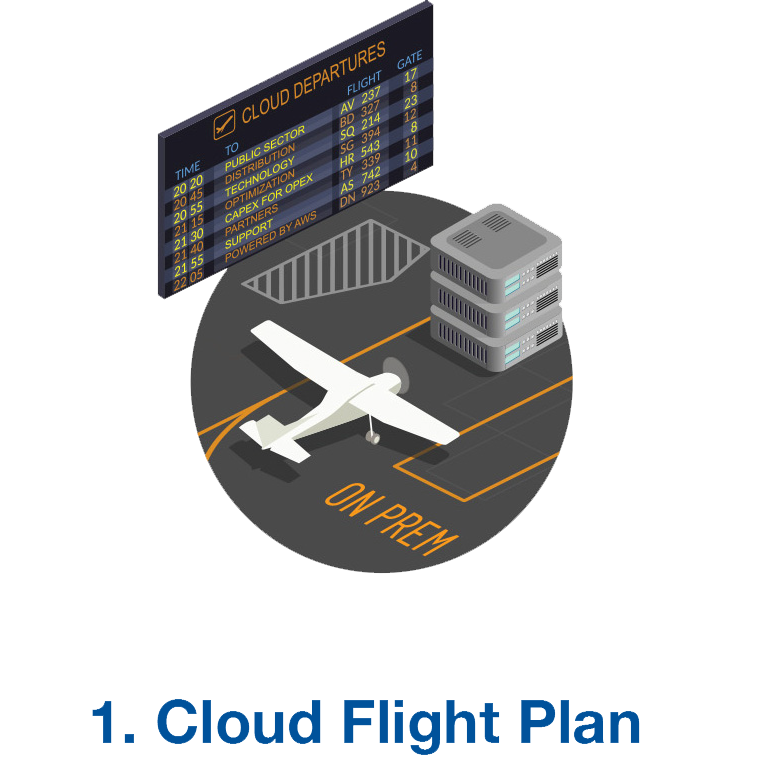 Getting off of the runway can be daunting—with Cloud Navigator you can take off smoothly and focus on elevating your growth and profitability. Now that you are airborne, you are likely to encounter some turbulence. While some customers might require an initial migration from on premise to the cloud, others may require a full cloud-ready back office. 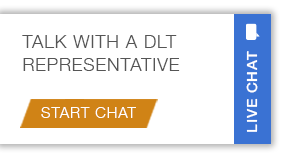 With so many variables to consider, DLT is here to back you up. 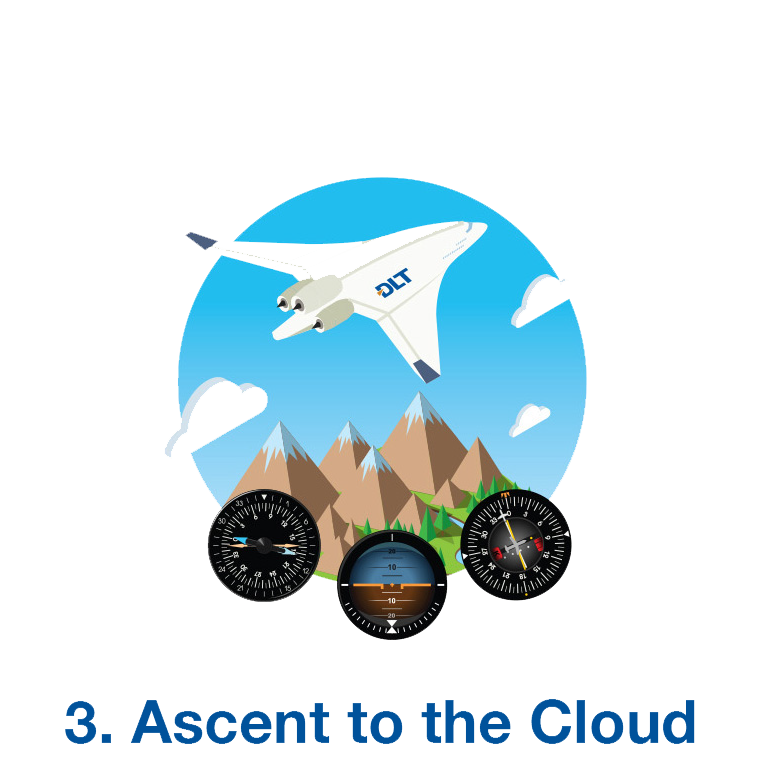 We are your "Cloud Co-Pilot", ready to help navigate your ascent with instruments like our Cloud Back Office support powered by Cloud Checkr. 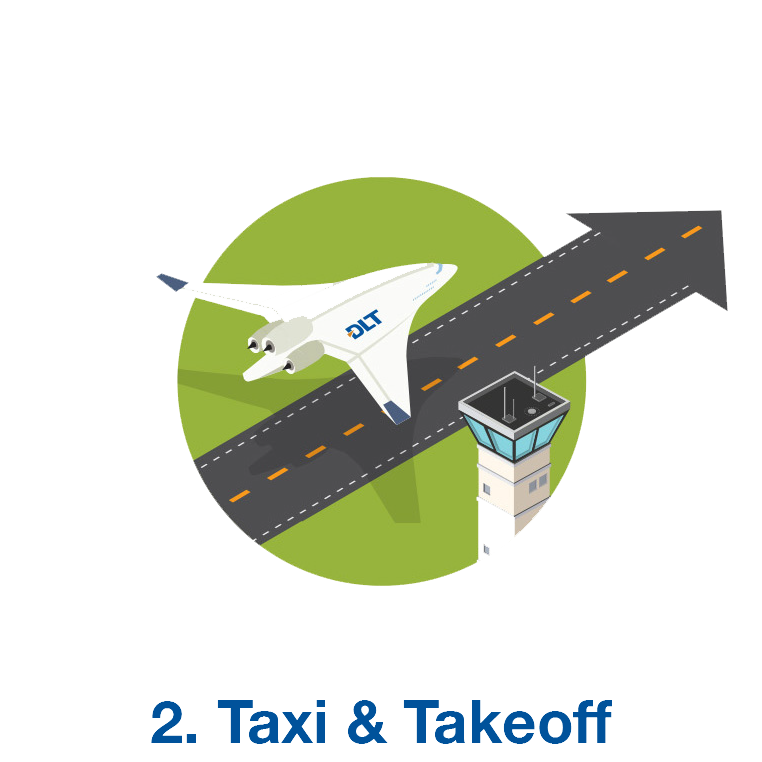 Along with our array of cloud-ready contract vehicles, we will have you soaring in no time. "This is your captain speaking. You are now free to move about the cloud." 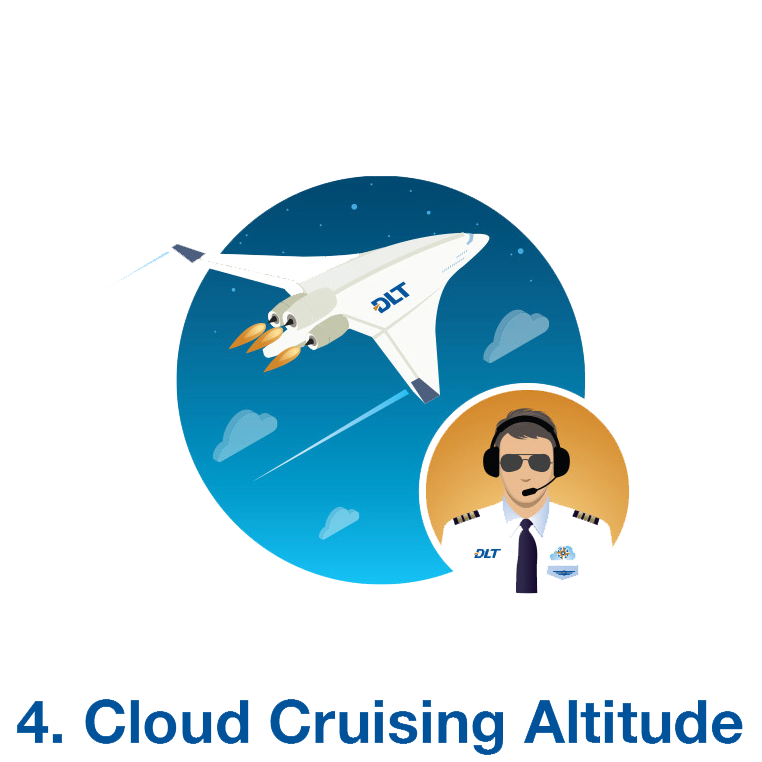 Once you reach your cruising altitude, you can focus attention growth and cost optimization. 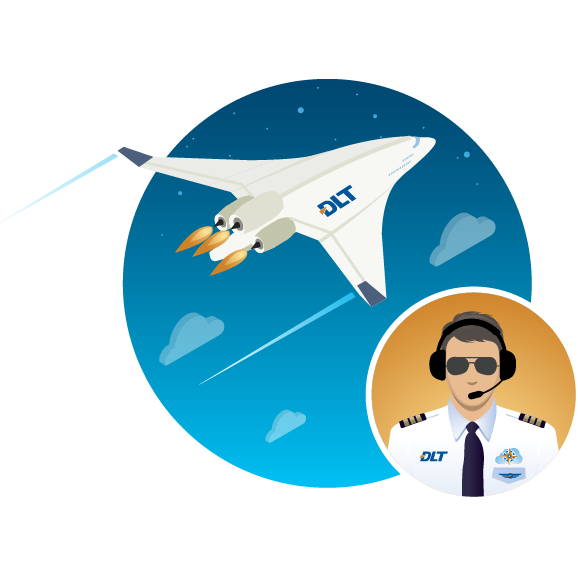 With DLT as your "Cloud Co-Pilot", you will have constant support as you explore the cloud. Our ground crew will be in constant communication, providing training, resources, and technical support to enhance your cloud navigation. As a leader in accelerating public sector growth for technology companies, DLT is always on the cutting edge of what the cloud has to offer. With DLT as your Cloud Navigator, you can keep looking up.